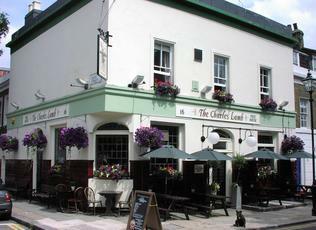 Traditional corner pub in very nice residential area just down from the mayhem of angel, towards the Regents Canal. Central bar, surrounded by high bar stools. Traditional furniture setup discreetly for dining. Beer was an below average XT 4 from XT brewing. Rammed on a Friday at 7pm. Started to clear a bit by 8 and managed to get a table. Good place to go, with good beers and atmosphere. Excellent little pub, worth the walk from the mayhem of Upper Street Islington. Good range of beers in good condition. Light and airy corner pub which feels more like a proper local than some of the other trendy bars in the area. The staff were friendly and getting served was not tricky, although having said that the place was not too busy on my last visit. There was an excellent choice of ales on offer (discount for CAMRA members) including Dark Star Hophead, Windsor Knot, Chelsea Blonde and Kent Pale Ale. I had the first two which were very drinkable. Probably my favourite pub in the Islington area. Well worth a visit. 4 Real ales and a real cider on the bar. One ale ran out and was quickly replaced with something else straight away. Plenty of food being served and appreciated by many. Camra discount of 10% to card carrying members. Windsor and Eaton Windsor Knot £3.15 and Shamblemoose Smoked Porter £3.15, both with discount.